Calpis Calpico Water (カルピスウォーター) is one of the most popular beverages in Japan. 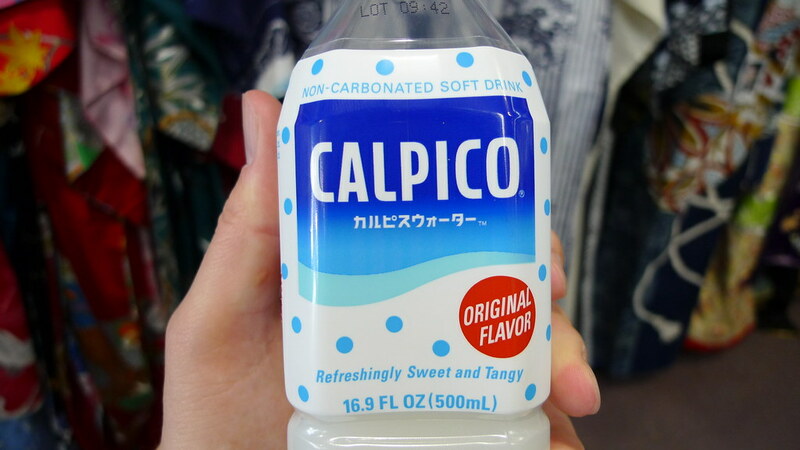 Over there, it's mostly referred to simply as "Calpis Water", but reading it aloud to yourself will make you quickly realize why it's called "Calpico Water" over here in the States. I still call it by the former because it's funnier. The full review after the jump. Before Saturday, I had never had Calpis Water before. Seen it a lot, though. It is a non-carbonated drink that has a light, somewhat milky, and slightly acidic flavor. To be honest, it doesn't look like it would be all that refreshing. It's cloudy and unattractive. Plus, it's expensive (at least it was at Uwajimaya in downtown Seattle). The best way I can describe it is Gatorade with a splash of sweetened heavy whipping cream. Some would say it tastes like plain or vanilla-flavored yogurt, but I would disagree because I hate yogurt and I liked this. Calpis Water is quite good, especially when you drink it ice cold. On a hot summer day, this is exactly what I would want. If you haven't tried it before, I highly recommend. Calpis Water comes in other flavors as well. These variations include, but are not limited to, strawberry, mango, lychee, melon, white peach, and aloe. Yes, aloe. I will be trying these other flavors soon and reviewing them later. For now, this review only covers the "original flavor".